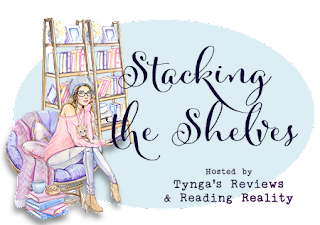 a GREAT read: Stacking the Shelves--The Christmas Edition! I hope everyone who celebrated had a most wonderful Christmas!! Mine was pretty enjoyable too, despite waking up Christmas morning with a cold! It's still hanging on too. I hate colds. They last forever no matter how hard I try to avoid them! 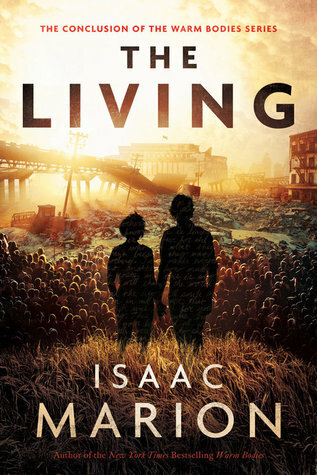 The Living by Isaac Marion--SIGNED! Plus bonus material! 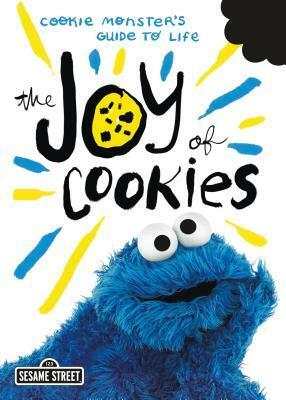 The Joy of Cookies by Cookie Monster--I saw this awhile back and decided I had to have it now! Lol! It looked cute and inspiring! an amazing TBTBSanta package from Alex @ The Book Banner! She out did herself here! I got Undead Girl Gang by Lily Anderson, Wicked Charm by Amber Hart, The Dark Descent of Elizabeth Frankenstein by Kiersten White, Supernatural stickers, Beauty and the Beast stickers, SOCKS!, a Scooby Doo ornament, a vanilla scented candle, and what I think is a bookish jewelry box! oh and I got Reese's Mini Peanut Butter trees and Belles!! B&N and Amazon gift cards!! Turns out my sister mixed up the Birthday and Christmas gifts so I got my "Birthday" one at Christmas instead! LOL! Then my mom included this cute little pin with my gift card! Then I got the Litographs A Court of Thorns and Roses t-shirt! Front (left) and back (right). I can't say which design I like best! I love it all!! Then I also got the Caraval t-shirt from Blissfully Bookish! And that was it for my bookish haul! I got a few other gifts as well that were outside the bookish realm, but I liked keeping things mostly bookish in these posts, Disney aside, of course! LOL! What did you all get this week? Colds are the worst! I hope yours goes away soon. Great haul! What a nice gift from TBTB Santa! I love that shirt too. Have a great New Years! Your TBTB Santa did such a great job. That box of candy is quite impressive all on its own. I wish my family gave me Amazon gift cards. I never get anything book related - ever! I hope you enjoy all of your book. Happy New Years! Oh wow, I thought Lithographs only did classics! I've never heard of The Living, but it looks really good! I'm off to look that up! And THOSE REESES! I hope you enjoy them! Some nice things for you! Have a lovely week!